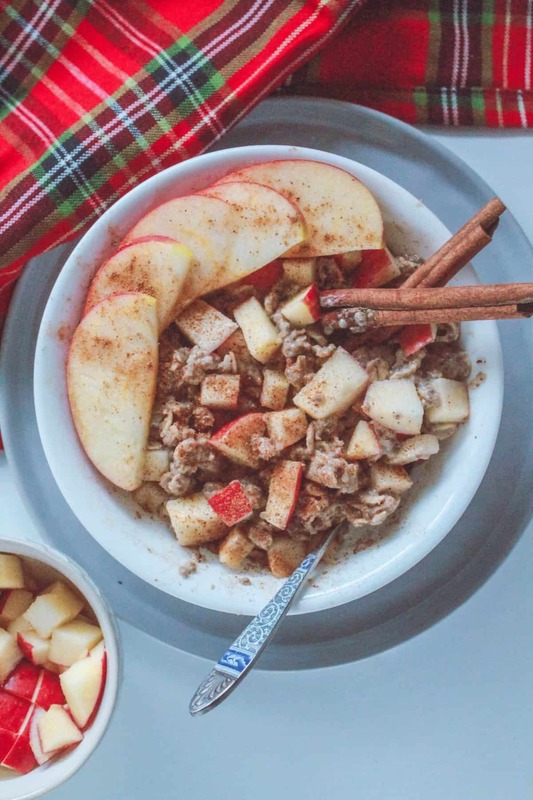 This wholesome Apple Pie Oatmeal is bursting with cinnamon spice, creamy oats, and sweet apples. Just the right amount of sweet and hearty to keep you satisfied through the morning. 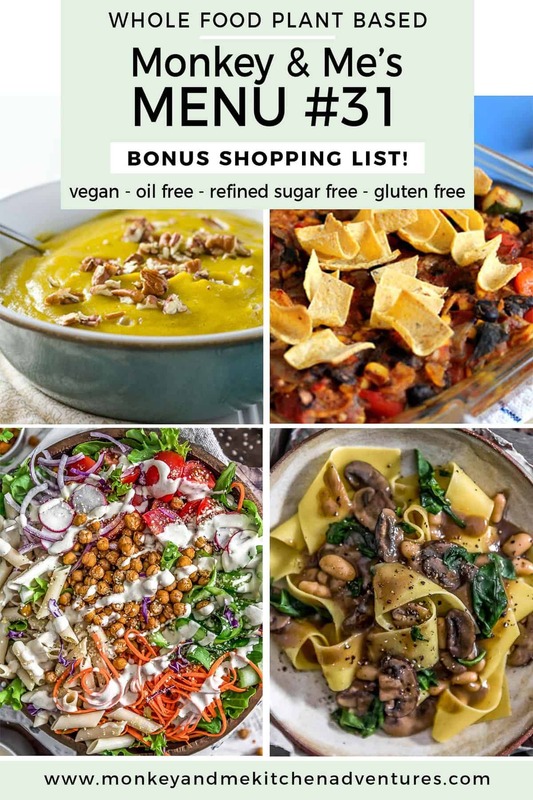 Head on over and check it out on Simple Fit Vegan! For those hangry days when you NEED something fast, but want it to taste ah-mazing like you worked super hard in the kitchen for hours putting together a flavor profile that is going knocking your socks off… This delicious Vegan Greek Chickpea Salad is that dish! Not only is it fast, easy, and bursting with flavor, but it’s oh-so-healthy! Protein-Packed chickpeas, coupled with crisp green bell peppers, and diced red onions mixed with a tasty tahini-yogurt dressing is your ticket to flavor-town with the first bite. 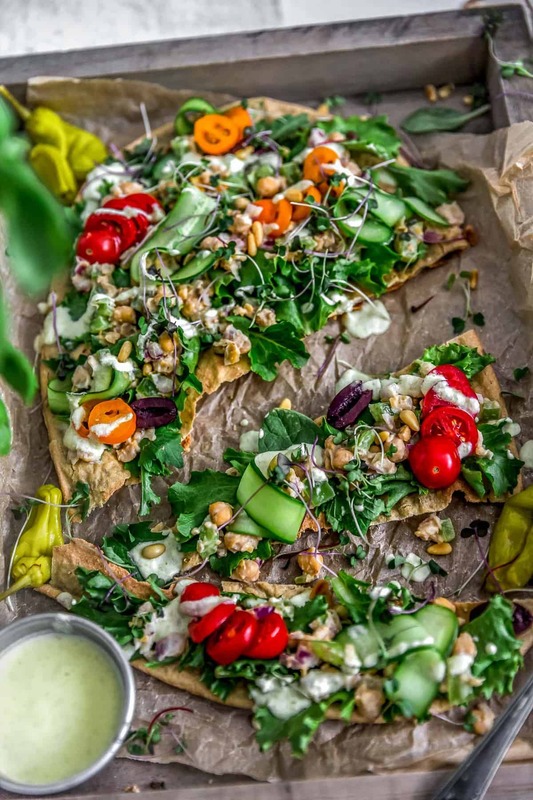 Add this hearty Vegan Greek Chickpea salads to a bed of nutritious greens, a quinoa flatbread, lettuce cups, pita pocket, and so much more Head on over and check it out on Monkey and Me Kitchen Adventures! 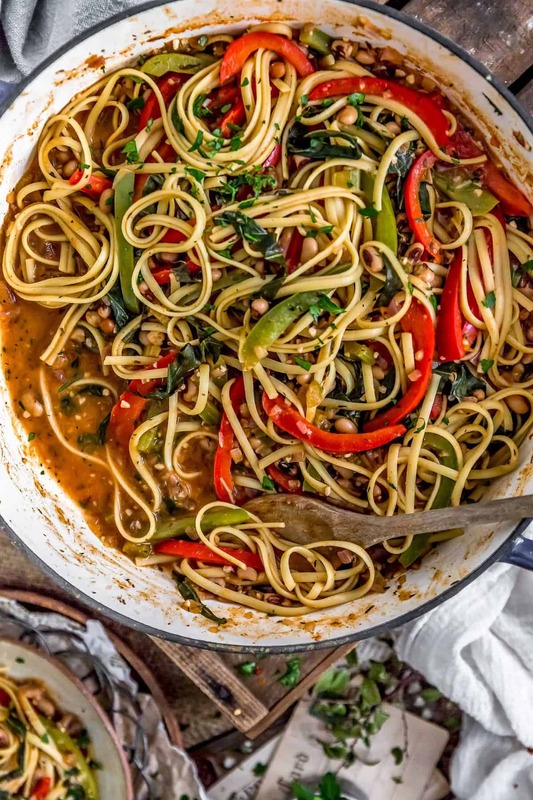 Why have just regular pasta, when you can have bold, rich, flavorful Cajun Pasta and Peppers? We have this comforting dish on repeat! 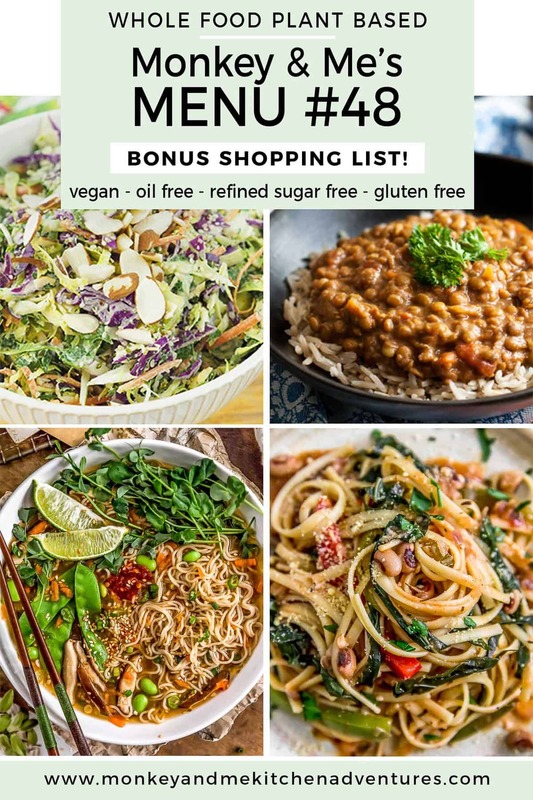 Tasty bell peppers, nourishing collard greens, and hearty black-eyed peas come together in delicious Cajun saucy goodness then tossed with chewy pasta. A fantastic week night meal where the whole house smells of Cajun deliciousness and everyone is running to the dinner table. Head on over and check it out on Monkey and Me Kitchen Adventures! 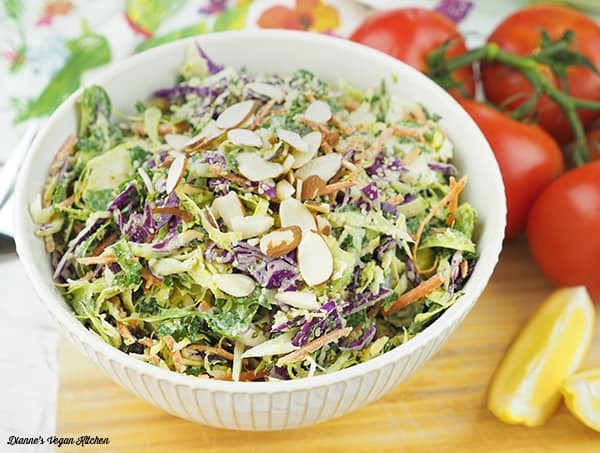 Creamy, savory, and packed with powerhouse ingredients, this Cruciferous Crunch Salad is sure to put a smile on your face. Nourishing kale, Brussels spouts, cabbage, and carrots tossed in a rich, flavorful cashew sauce creates for an ultra-tasty salad goodness. 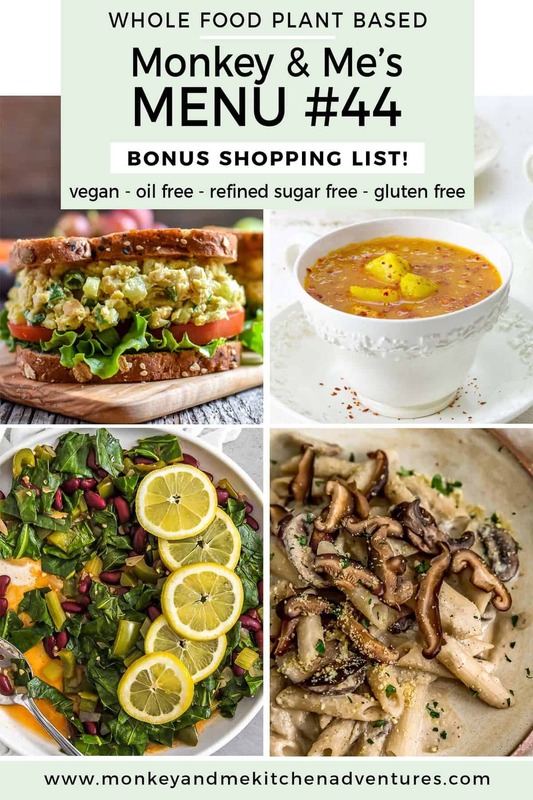 Head on over and check it out on Dianne’s Vegan Kitchen! Packed with nourishing veggies bathed in a light broth, this bowl of delicioussness is cuddle up, warming happiness. Our Easy Vegan Ramen is full of noodley goodness, earthy mushrooms, green veg, and soothing broth, now who doesn’t love that? 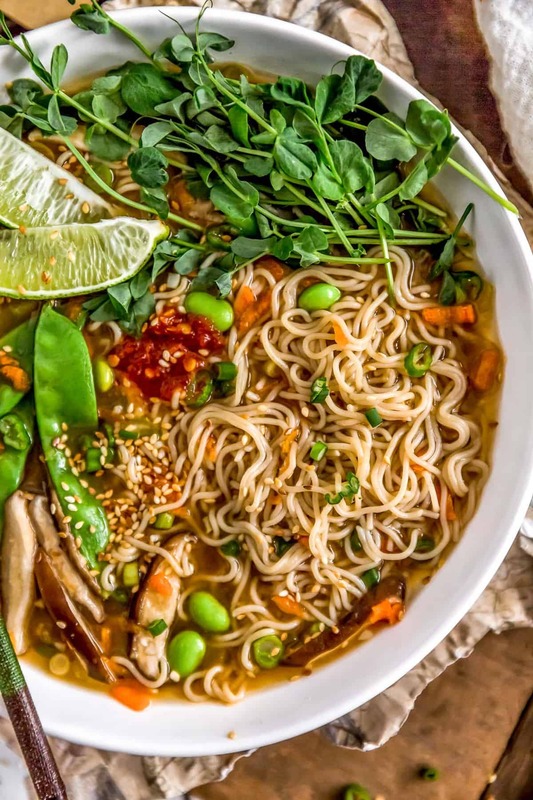 The best part is you can mix and match all your favorite wholesome veggies for a custom Ramen. A tasty soup for every day of the week. This one pot wonder is sure to boost your immune system and soothe your soul. 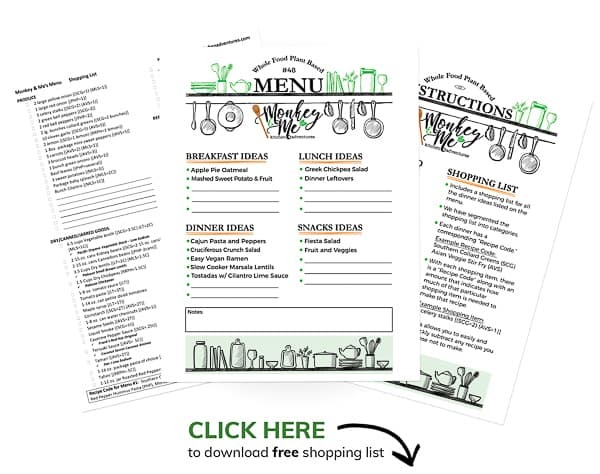 Head on over and check it out on Monkey and Me Kitchen Adventures! Brimming with flavor, this Slow Cooker Masala Lentils is simmered to perfection. 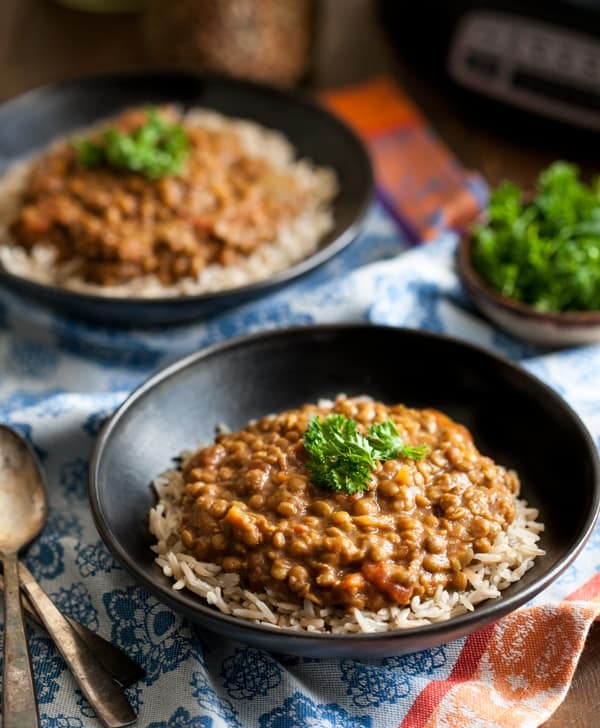 Mouth-watering Masala Lentils are ladled over hearty brown rice for an ultra-satisfying meal that is sure to put a smile on your face. Head on over and check it out on The Full Helping! If you’re a sauce lover like we are, we’ve got the perfect new sauce that is sure to be a game changer. This creamy, bold, oil free Cilantro Lime Sauce is everything you could ever want in a great Southwestern sauce. Fresh, zesty, and bursting with vibrant flavors, this sauce is a fabulous addition to your repertoire. 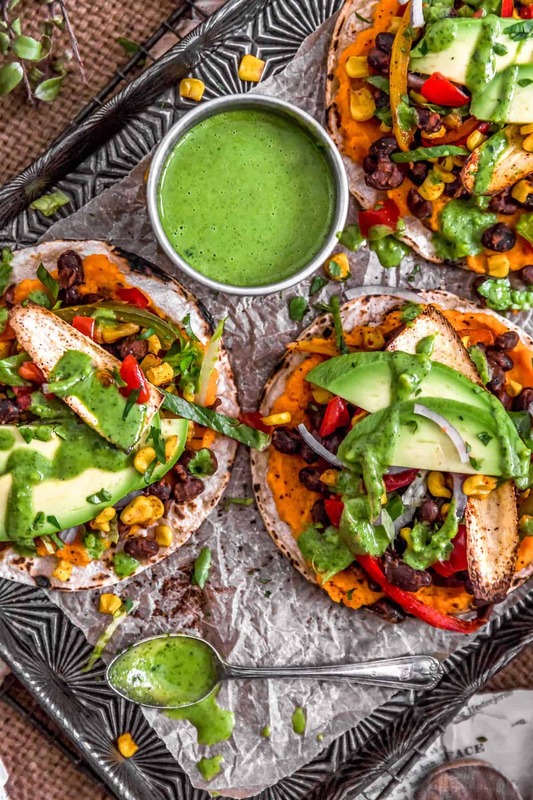 We drizzled this deliciousness over tasty tostadas made up of sweet potatoes, spicy black beans, roasted peppers, roasted corn, tomatoes, avocados, lettuce, and red onions. 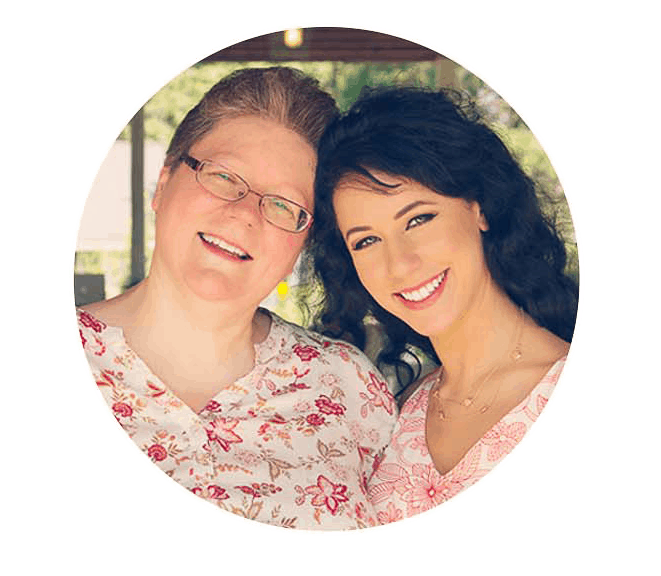 Head on over and check it out on Monkey and Me Kitchen Adventures! 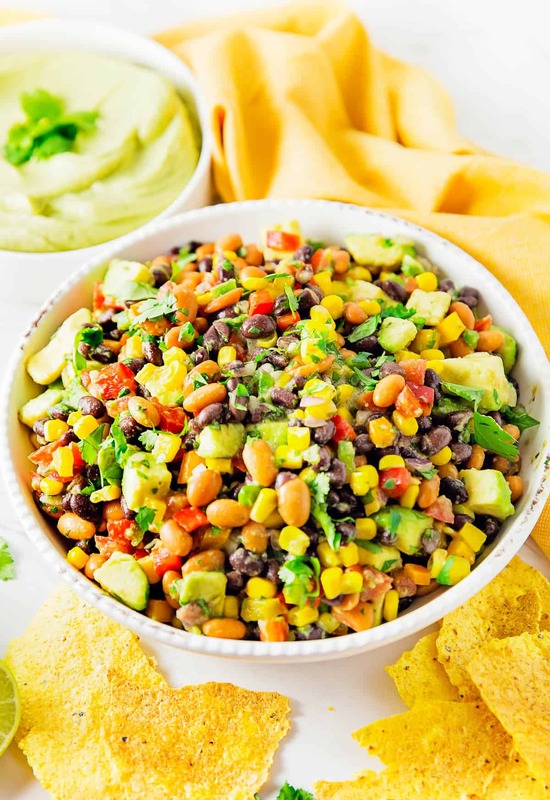 Vibrantly colored veggies and beans, spiced with tasty southwestern flavors, what’s not to love? This bright and yummy salad is fun and festive, not to mention how beautiful it will look on your table. 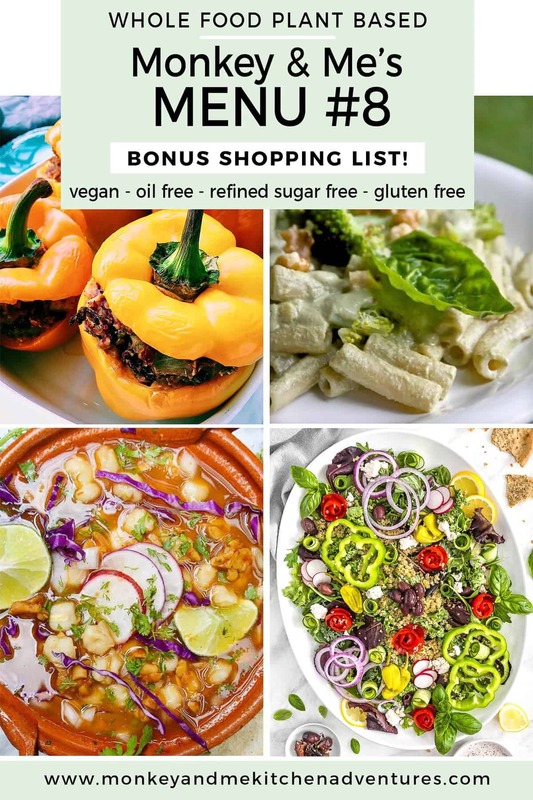 Head on over and check it out on Monkey and Me Kitchen Adventures!